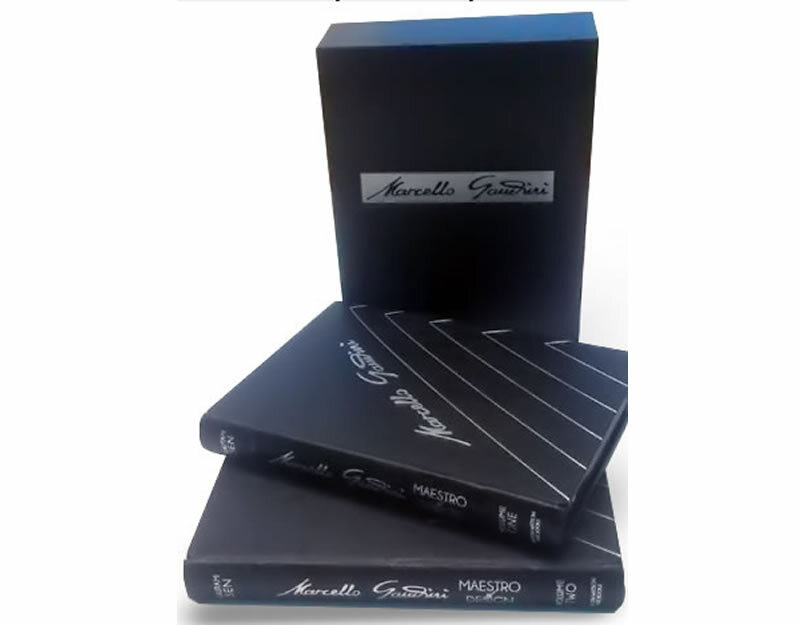 This edition of the Definitive History of Gandini won The Most Beautiful Book of the Year at the Festival Automobile International on January 31 2017. The books have black edges, extensive silver blocking on our black New Zealand Goatskin, then encased in a suedel lined slip case and solander box covered with Corvon (which is made to look like carbon fibre). Then we blocked on silver in black Gandini's signature and inlaid them. It was designed by our friend Jodi Ellis and executed by Pip. We think its pretty cool !